My narrative as a former community marketing exec began with the 1976 DMO startup in Spokane, Washington, one of three I helped shape during my four-decade career. But “origin” stories never begin that abruptly, and to leave the impression they do is an injustice to those who left earlier finger prints. That first opportunity started when I answered a 1973 job listing in the newspaper placed by a retired Shell Oil exec a week or two before my daughter and only child was born there and two months before I would enroll at Gonzaga School of Law. So I could attend classes at night, I needed a full-time job during the day and my new boss needed someone who could call everyone in a huge, dusty library-type card catalogue to see if the people there were still alive and willing to bring a convention to Spokane. At 56, Don Dagman had taken early retirement from Shell in 1971 and taken a job in response to a study the year before by Economic Research Associates. Seven years older than my father, we were “Mutt and Jeff” when it came to the cultural divides at the time. I wore my hair long, opposed the Viet Nam War and anticipated, based on new revelations by John Dean, how Watergate would play out. Don was a company man who never questioned authority. He was a baritone-voiced, deep-chested descendent of Swedish immigrant farmers who, “out on the edge of the prairie,” migrated up the western edge of eastern North Dakota’s Red River where he was born. As a twenty-year-old he ventured to the Pacific Northwest and began his self-taught career with Shell in Portland, Oregon. But Spokane was his home and remained so until he died at age 90, just a handful of years before I would conclude my career in community marketing. That consultant’s report on behalf of the Spokane Centennial Commission was entitled the "Plan and Feasibility of Proposed Spokane Ecology Exposition,” and it called for formation of what is today called a community destination marketing organization to leverage follow-up. Dagman, whose more than thirty year career had basically been public relations for Shell, was drawn to my resume because I had been involved from 1970-1972 in startup of a campus destination marketing effort while completing an undergraduate degree at BYU. But for a little less than two years before he hired me, he had already been setting expectations in the news media, giving visitor-centric economic development a face there and making up for any lack of background or expertise in community marketing with hutzpah and bon vivant. We made a good team. I brought a knowledge of startup intensity and ramping up an organization from scratch, a penchant for data analytics and as an omnivert, just enough extroversion to be a good sales person. I learned by watching Don Dagman the importance of earned media, also known as publicity, as a more powerful, more credible and far more cost effective part of marketing than advertising. Looking back, this was also part way through an incredible “sense of place” span that began in 1965 with passage of the Highway Beautification Act, followed in 1966 with the creation of the National Historic Registry. Then came the clean air and water act, which validated the importance of nature, followed by renewed interest in recycling waste and Spokane’s 1974 environmental World’s Fair. Concerns about heritage, rootlessness and the unintended consequences of so-called urban renewal reached a tipping point during the 1976 American Bicentennial, followed by the 1978 landmark decision by the U.S. Supreme Court validating preservation of place as a government goal. Our offices during that two year transition, while embedded in the chamber of commerce, were in the 1930 Civic Building with spectacular views from our offices along a back wall down a deep gorge at the base of the Spokane Falls. In front, this capstone “second renaissance revival” building, a sub-style of Beaux Arts had wonderful archways and a terra cotta roof. Taken together with others it formed a sweeping contiguous arc of historic buildings begun in 1902 and identified a few years later by the Olmsted brothers as part of a grand square, war memorial statuary and all. As we worked away inside, a successful nomination was being readied for creation of this area as the Riverside Avenue Historic District including a cathedral, a Carnegie library and a series of social and community buildings. In a lower level one day, Don, always the consummate promoter in search of publicity, emptied out refuse collected by housekeepers from wastebaskets in a handful of local hotels during four days of a convention I had booked. He had us sort the wrappers we found from 50 different stores and then invited a newspaper reporter to view them as an example of induced and indirect economic impact. This was decades before the far more scientific input-output model, pioneered just the year before, would become a feasible alternative for visitor-centric economic development metrics at the level. Neither Don Dagman nor I realized that a little more than two years after we teamed up, I would change career paths and be appointed to lead the transformation to Spokane’s stand-alone community marketing organization, when he was ensnared in a controversy. But Don and I also happened to bridge another generational divide that Spokane stills struggles to cross today. At the time, community marketing was transitioning from a minimized role primarily in response to erection of edifices in need of traffic such as convention centers to more holistically role viewed as the means to fuel overall visitor demand by leveraging sense of place and making all amenities, if market driven, feasible and sustainable. I moved on a little more than three years after being named its exec first to Anchorage for a decade, to complete a startup just begun, then another from scratch in Durham where I worked for more than two decades before retiring. But Spokane, despite the evidence of far broader visitor appeal during Expo ‘74, has in many ways remained at least partially trapped on the far side of that community marketing divide, as far too many communities have. I not only read carefully that 1970 ERA report from which so many others merely quoted from the summary, but I rescued a series of old 1930s and 1940s newsletters along with some community brochures dating to 1907 that were being thrown out one day. They showed that Spokane back then had seized on the idea of community marketing only two decades after the first spearhead had been formed, even participating in the See America First cooperative. This including evidence of a publicity and news effort dating to when motor vehicle tourism first took root and convention metrics reported decades before those in the ERA report. For example, by 1942 Spokane was hosting press tours and cranking out news releases and distributing photographs to 200 publications across the country. City-wide, it was estimated that Spokane hosted 172 visitor-related conventions attended by 34,000 delegates spending $750,000 that year. By 1947, convention attendance had increased to 37,000 delegates spending $1 million but Spokane was looking more holistically at overall visitor spending of $9.5 million. But spending by just the fraction of visitors attending conventions had peaked in the early 1960s at $6 million annually and declined by 1970 to $4.2 million, along with any consciousness of visitors overall, when experts advised that a community marketing agency be created. But no one had connected the dots of that decline to when Spokane had suddenly stopped promoting the community, something I was able to verify by those old index cards I was asked to sort through in 1973. I also took time to verify convention-visitor impact. Instead of beginning to climb again to the more than $6 million as Don had been led to report for 1971 when he was hired, by 1972, the year before I was brought on board, it had continued to fall to $3.5 million. Through community marketing including harvesting exposure created by Expo ‘74, that impact had been nearly tripled to $10 million, all without a convention center. By the time I left in 1978, we had pushed it to $17 million dwarfing the $1.8 million harvested by having a convention center, an adaptive reuse of one of the pavilions also recommended in that 1970 study. But my eyes had been opened to the far greater potential of marketing holistically to visitors overall rather than limiting focus to conventions. Projections of visitor spending overall for 1974 had been only $9.6 million but the 5.4 million to attended the six-month Expo ‘74 had generated $90 million in spending from visitors alone and studies showed that by leveraging overall sense of place including the new Riverfront Park it would generate even more going forward. But In the early to mid 1970s, consultants were typically brought in to justify public facilities as real estate anchors to shore up private property values or as a barrier against advancing blight. If they knew, they failed to explain to communities that facilities such as hotels and convention centers aren’t demand-generators but activity-centers created by harvesting visitor demand generated by marketing the community as a whole. Failure to connect these dots until 1997 led to a quadrupling of convention center space across the nation over a period when conventions and meetings tipped into decline and the vast majority of events began to opt instead for meeting space in hotels. But this hindsight wasn’t available with the 1970 report, which estimated that conversion of one of the World’s Fair buildings into a convention center by 1975 would result in an additional $1.8 million in convention visitor spending that year alone. That turned out to be only 18% of what would be generated by aggressive community marketing alone and two-hundredths of one percent of overall visitor impact. Today, Spokane generates $870 million from visitors annually (not counting closer in daytrip visitors.) This includes the 28% generated from delegates attending conventions, a ratio inflated ten percentage points by the fact that Spokane has no major nearby population centers from which to draw leisure visitors. But attendance at events using the Convention center has been flat to slightly down since 1999 with only a third counting as value added to the Spokane economy, about the same ratio of overall conventions as it represented in 1975 before two expansions. While failing to look at market share or weighted proportions nationwide or warnings by other consultants beginning in 1997, many still use the same dated formulas from more than four decades ago to recommend expansion as a solution. This fails to account that today convention centers compete not with other convention centers but with space within hotels in the same community, often giving them a net negative impact. Nor do they take into account that this is a mature market in gradual decline or that groups broken down by size are getting smaller and smaller. Though consultants never dispute one another, a far more strategic consultant report notes, just as that 1970 study did, that it is scenic beauty, outdoor recreation and a lively downtown that give Spokane its appeal and far greater overall visitor potential. Just one of many communities with factions that continue to push aside “best practices” and data-driven decision-making to argue instead for “worst practices,” Spokane is extremely blessed to have a skilled data analyst who blogs there anonymously. If he is looking down, Don with that characteristic twinkle in his eye, would probably give a wink, knowing that Spokane is still struggling to cross over that community marketing divide one of us leaped four decades ago. He would also agree that while I may have been a startup/organizational innovator, it was always on the shoulders of those whose finger prints I found there stretching back decades. I dedicate this background to making sure Don’s never fade away. History, it turned out, was the perfect background for community marketing. Or maybe it was just that community marketing was appealing to a person with a degree in history. I don’t just mean the date and event type of history told through documents although that is useful because learning to see patterns and connections - the essence of historical analysis - is also key to marketing innovation and strategy-making. Genealogy: history told through family relationships and DNA. There are others but hopefully these are enough illustration for those who haven’t thought of community marketing as a career or marketers who view it far too narrowly or were taught it only from a commercial perspective. For all that preliminary background in history, it still took me over half a life-long career to connect those dots. It also wasn’t until my third startup that I even more formally embedded archives. Perhaps this is why I was amused to learn recently, the history of my first startup was apparently rewritten exclusive to a much later addition of a word to its name and the second one seems also to have written a revisionist notion of its founding. Frankly, many marketers, even those trained in communications, often seem to play a bit fast and loose with facts and context either because they are too lazy to fact-check using what archives were kept or to make a political statement or even to flatter later executives. Even more troubling, journalists often pick up these reinterpretations, further contaminating the public record with anecdotal hyperbole. Thus, the “Research Triangle” is misattributed in a 1957 state brochure as the “brain child” of a later state governor. Not true, of course, but that is how history gets polluted. Part of the problem is that Durham, North Carolina where I finished my career and now live in retirement, while arguably blessed with the deepest, most diverse history of any community, still lacks a full-fledged museum of local history. This source of resident frustration is indispensable, not just as a cultural amenity but as a touchstone-repository to help newcomers and future generations gain, regain and keep perspective. Even Entrepreneur Magazine’s startup-rich content heralds the value this depth can bring to storytelling's role in creating brand value. So why are so many community marketers pinned under the thumbs of those who don’t get it? In past essays, I’ve frequently noted research showing that even among visitors who skew more to fantasy activities such as shopping, sports, performing arts or amusement parks, destinations that preserve and cultivate authenticity foremost are by many times over the most appealing. Yet so many elected officials, enabled by their community’s marketers and propelled by “edifice envy,” have, or are quickly surrendering, the authenticity of their particular places. Maybe my sense of urgency is because it took half a career to dawn on me, and many places won’t have that luxury. My musical sensibilities were fostered not only by my mother’s wonderful voice and piano playing but by my paternal grandfather’s tenor as he sang along with an old ratio in the horse barn on our ancestral ranch along the Tetons in Idaho. It is there at age six, while helping him muck out the barn that I first heard a song that has served as a backdrop to my life over six decades now, although recorded and sung by many different artists along the way. My musical tastes are eclectic but penned by Jimmy Work, the country song-standard, Making Believe I realize now in reflection, has been one of my constants. I wonder what became of family artifacts such as that old radio or my great-grandfather’s “HB” branding irons that hung there by the door, remnants of which are preserved in the state of Idaho’s archives. The one with just the initials went on the left thigh of our horses. The other including an underscore went on the right rib of our cattle, perhaps foretelling my career one day branding communities. As family heirlooms, I wish I had that old radio and especially those branding irons. As all artifacts do, they would sure tell some stories. When I first heard Making Believe sung by Kitty Wells, my then six year old ears had also recently been kindled to doo-wop. I had caught a few bars of Earth Angel one day as my grandfather was tuning the radio back to country from listening to opera arias, then sponsored by Texaco, as we did each week. Yup, that’s where I first heard one of my favorites, O Soave Fanciulla with my grandfather, who had barely finished second grade, singing along at the top of his lungs as we shoveled horse manure, a reflection that came to me a few weeks ago as my mind wandered during Phantom Of The Opera recitatives. The old barn radio is also where I first remember hearing the voice of Vin Scully calling the 1955 World Series won that year by the then Brooklyn Dodgers over my favorite New York Yankees. My dad and I watched a year later on our new television while still listening on the radio as Don Larson pitched a perfect game for the Yankees in a rematch which Scully also called. It is why even today I listen, if only while changing channels to Dodger games, which he still calls, and why the World Series has always been more enjoyable for me as a backdrop on the radio. By 1955, it had already been 16 years since my grandfather had been able to work the ranch he had homesteaded and then assembled by incorporating purchases of those of my great-uncles and great-grandparents. My dad started running this ancestral spread while finishing high school. The years he had been away at war, the ranch fell fallow with my grandparents only keeping some prized horses. When my dad returned from WWII, my grandparents turned the ranch house as well over to my parents and moved a dozen miles south down the Henry’s Fork into St. Anthony, population 2,600. But after I was born in 1948, my grandfather resumed being a daily fixture around the ranch, volunteering words of wisdom to my parents and paling around with me each day or me with him. He passed away in the fall of 1964 a few months after he and my grandmother gave me their old WWII-era Jeep for my 16th birthday. The Beatles first charted U.S. album Meet The Beatles had come out that year, a month after, I Want To Hold Your Hand,” hit the charts as a single. His passing was less than two months after the conclusion of the group’s first tour in America. By the time of his funeral, we were already eagerly singing Anna, This Boy and Till There Was You, both in glee club at school and when used by my mom as a form of bribery to get two friends and me to sing in the church youth choir she conducted. She was quick to remind us that Till There Was You had been written for a musical back when I had first caught that glimpse of rock and roll out in our barn. My mom wasn’t musically defensive though. A few years earlier when with these same friends we eagerly directed her attention to the Marcel’s doo-wop new hit Blue Moon, we even joined in with “dip di dip di dip” and all. Only after they had left did she drop in passing that Blue Moon dated back to a musical three decades earlier when she had been younger than I was when first catching a few bars of doo-wop on the barn radio. It seemed like music had changed forever and from the 1960s until the early-1970s I turned away from country music, but that all changed when I first heard Gram Parsons and Emmylou Harris introduce a genre called country rock. In 1977, when I was a newly minted community marketing exec, Emmylou brought me back to my roots when she revived Making Believe, followed a year later by a version by Merle Haggard as I took on my second community marketing agency in Anchorage. When I headed to Durham in 1989, a duet version of Making Believe by Loretta Lynn and Conway Twitty was on the charts. Another duet version followed by Patty Loveless and Vince Gill, whose voice my grandfather’s most resembles in timbre. In part, it may be why I selected Gill’s Go Rest High On That Mountain for my father’s funeral in 2001, just as one day (sooner than I think), I may be recommending for my mother’s, a duet version of Sarah McLachlan’s Angel in duet with Emmylou Harris. It reminds me of my mother’s voice and piano style now in her mid-80s before her fingers became are too twisted to play. Making Believe continues to be a soundtrack for my life now in a new stage, most recently sung in duet by Willie Nelson and Brandi Carlisle, who is young enough to be his great-granddaughter. Nelson’s first song writing credits and demos stretch clear back to 1955 when I was listening to that old radio in our horse barn. Of course so does his career as a sales manager for encyclopedias, perhaps an early influence? Making Believe isn’t my signature song: that would be Desperado, which a co-worker in Anchorage set to calligraphy and framed for me. But it sure has been an old and familiar friend all these years. For those of us who love this region, the State of the South report has been issued every couple of years since 1996 by a think tank based in Durham, North Carolina where I live. So when a friend who is still in the loop forwarded me the newest edition published a few days ago, I was not only eager to dig right in, but took a moment to reflect on a forerunner I read the month Durham adopted me twenty five years ago. Published three years earlier in 1986, that report was entitled Shadows in the Sunbelt. My job back then was to jump-start an organization to market Durham for visitor-centric economic and cultural development and I soaked up that Shadows report for much needed context and perspective. It declared obsolete “the Buffalo hunt” approach to more traditional “supply-side” economic development and proposed as an alternative that communities, both rural and urban, begin instead to leverage local assets and existing enterprises, such as “place-based” tourism has always done. Well, it’s been 25 years since I read that report and the “Buffalo hunters” are not only still monopolizing economic development in North Carolina but officials have recently retro-organized it in a way sure to keep its extinction on life support. But indeed, not only are both forms of “Buffalo hunting” still staggering slowly toward extinction three decades later, but in some communities such as Durham, traditional supply-side economic developers seem to be gradually trying to emulate the demand-side nature of tourism by seeking to draw talent rather than big game. But while Durham may be way ahead of the curve on both economic development fronts, it seems as if far too few here are worried about the unintended consequences surrounding the adaptive reuse of what remains of its “built” elements of its sense of place. The problem isn’t as a respected friend recently prophesied that revitalization efforts have reached the “tipping point,” but that Durham officials seem totally unprepared that the greater challenge will be to manage success. Or that if left unchecked, development will almost certainly now begin to destroy the very things so worthy of love here. There seems to be a lack of intensity or sense of urgency, in response, not only to insist on architectural scale and fit but to mitigate gentrification, aggressively get at the systemic roots of poverty and preserve almost temporal community values such as social justice, acceptance, openness, organic creation and diversity. The graphics alone in this newest report tell a powerful story and none more so than those showing the side-by-side paradox in Durham. If by bringing appreciation for Durham’s temporal attributes and helping to spark the kindling under this turn-around, was I complicit by failing to see how fast the reinvigoration would turn destructive. I try to remember to post these essays on social media such as Facebook because those are the places where many frequent readers tell me it is easiest to access, share and/or comment which today is most often via one-on-one emails or text messages. Recently, in return, several readers forwarded essays related to this shared concern. One is how Portland is fighting to keep things “real” there and in synch with its unpretentious values. Another cites the changes that unmanaged gentrification has made along one end of Divisidero, a street in San Francisco where I lived for a few months in 1989 before being recruited to Durham. My apartment was on the Bay end of Divisidero. But needing to exercise to help build my lungs up following a bout in the hospital with pneumonia that January, for that few months between jobs, I would religiously take daily walks, also, in part for reflection. Each of our lungs is only hand-size but on the inside where they do their work, the various branches, cavities and air sacks called alveoli are the combined surface area of a football field. Some days the walk would take me 40 active minutes south on Divisidero, up and over Pacific Heights a ridge more three times the height of one we complain about on walks each morning now in Durham. It crested as I passed what is now “Billionaire’s Row” before descending for checkups and medication-refills at Kaiser Permanente Medical Center. Another by Kriston Capp notes that studies show the massive overbuilding of cultural facilities such as performing arts centers over the past decade is spurring gentrification along with deeper poverty rather than the oft-promised Bilbao-effect. It is important to note, as a new white paper by researchers at AudienceScan does, that high-come adults are 40% more likely to shop at locally owned business and that 60% of shoppers there have above average incomes. We gentrifyers have a way of killing the things we love. All of these sources are worthwhile reading for anyone concerned about preserving the values and sense of place in the places they love. On my return on those walks, I would head up to the historic Fillmore the venue and birthplace for rock, blues, folk and roots music legends of the late 1960s such as Jefferson Airplane, The Grateful Dead, Jimi Hendrix, The Band, Emmylou Harris and Janis Joplin). Sometimes before turning back north I would continue on up Cathedral Hill and listen to mid-day prayers sung as Gregorian Chants. These neighborhoods were still the “real” San Francisco back then compared to those more touristy east of Van Ness/north of Market. Organic “real places” aren’t created as much as enabled by developers when they are sensitive to scale and work with a light touch so as not to disturb sense of place or force out small, local businesses such as the developers of Durham’s Brightleaf Square did there and then along Ninth Street. Developers without those sensibilities are drawn to these areas but without officials who are attuned to activist neighbors and small businesses and who are unafraid to say no, places can be quickly overwhelmed, relegating historic structures to little more than an amenity. Sometimes this corrosion of place is even further enabled by public facilities that are even more disrespectful of sense of place values leading some to warn we should watch what edifices officials build, not what they say, when it comes to preserving values such as reducing poverty. Looking back, I was fully aware that many of those with whom I stood alongside in the push for revitalization didn’t really share Durham’s sense of place values, or if they did, also didn’t realize that safeguards needed to be embedded long before any tipping point occured. My reflective ego says I could have and should have done much more to warn officials about the failure inherent in success and that sense of place and community values, while nearly temporal in nature, are not guaranteed. But starved for the day when revitalization would fully ignite, many officials, hypnotized by arm-twisting on behalf of the “shiny and new,” dismissed warnings that were given back then as merely naysaying. You can steer a community to “best practices” but there will always be a few otherwise well-meaning souls who seem to always seek out “worst practices” instead. To use a term from Accounting 101, they, along with formula developers will be “last in, first out” too when community values are purged and the reasons to love a community begin to flicker. I’m not going anywhere and my time may be past but the real fight to preserve sense of place began not with revitalization but in its wake. It isn’t too late for Durham but it is very, very close. Pedestrian safety became an issue on my neighborhood listserv in Durham last week when some parents decided they wanted to seal off streets this Halloween. “Helicopter” parents apparently get a little testy too as several did when one neighbor, a university professor in our midst, dared raise the potential of “unintended consequences” along with the fact that “we are terrible” at estimating risk. In my former career, I often found myself in what crisis management expert Peter Sandman calls the “calm down” business which is futile in addressing those in “fear” or those in the “outrage” business. I remember a few months before 9/11, sharing with a journalist friend, the book by sociological researcher Dr. Barry Glassner, now the president of Lewis & Clark College entitled, The Culture of Fear: Why Americans Are Afraid of the Wrong Things. It mostly fell on deaf ears. Journalists pride themselves on objectivity but by the nature of their craft, are more often slaves instead to anecdotes, especially those that cause alarm among audiences. With fewer and fewer resources spread among too many outlets all chasing the same stories, rarely, if ever is there time or inclination to delve into perspective, thus, we see the media repeatedly use fear to bully public policy as it is doing with Ebola right now. Then, as if totally unaware of cause and effect, they turn around and publish “lookie-there” stories about how upset people are and how officials are pandering to fear, completing a self-fulfilling feedback loop. Journalists, other than the media analysts/hosts of On The Media will collectively be in denial that their outsized coverage of a potential pandemics and obsessions with beheadings by thugs may turn out to be enough to sway the upcoming election. But it is more complicated than that and the news media is not entirely to blame. The news media is indeed biased, but not in the partisan way Republicans have ingrained us to believe. Media analyst Brooke Gladstone, in her book The Influencing Machine notes the real biases in the news media. Some years ago, communications researchers helped the organization I led back then unwrap the source of entrenched negativity about the community I represented among residents of two nearby communities. Without first lowering the barrier this created, any promotion would be futile. They concluded that the news media there were not breeders of the negativity but rather carriers, and that any messaging we undertook needed to distinguish among news decision-makers there the role of over-weighting and lack of perspective from news content. It worked and became one of three pillars that turned the condition around to a positive by the late 1990s, which in turn loosened up financing that enabled Durham’s subsequent brick and mortar revitalization. Glassner took no prisoners in his book Culture of Fear, which was republished with updated perspectives and research in 2010, especially among editors, journalists and especially publishers keenly aware of how lucrative fear stories are. But he and Gladstone agree that the solution lies with us as news consumers and part of that means speaking up whenever fear is blown out of perspective as it was on my neighborhood list serve this week. Journalists often lurk on these networks in search of story ideas that resonate but hopefully, they are also seeing how sloppy or inaccurate coverage can fuel reactions to fear among ordinary citizens in ways that can have unintended consequences in society. Group-think decision makers, who seemingly cloak fear-based reactions with rational or maybe who just didn’t think through the ramifications, often react defensively to interjections to “calm down,” turning snarky instead on the messengers. But one rational outcome on our listserv this week was circulation of a link to a report on pedestrian-car collisions issued a couple of months ago by the UNC Highway Safety Research Center. Using data in the report, a neighbor on the “calm down” side of the exchanges computed that the odds of any child on Halloween being injured in an accident involving a motor vehicle is 1-in-240,000,000, far less than accidentally stumbling. The report breaks down vehicle accidents involving pedestrians between 2008 and 2012 across the state including by region, comparing rural vs. urban and ranking the most prone cities. Durham ranks fourth as a city, its same rank by size of population but fifth as a county, one spot higher than by population. It is too bad the researchers couldn’t include non-residents where they work in one community during the day but live in another. Communities such as Durham have a net increase in drivers during the day of nearly 137,000 drivers, a much higher proportion than other cities. It also doesn’t factor in visitors who in high-performance Durham add 25,000 drivers here per day. But even if weighted for total drivers vs. just population that wouldn’t entirely explain why Durham has more incidents than say, Winston-Salem. Many people dismiss these pedestrian-car crashes as merely related to alcohol, nighttime, age or weather but that isn’t the case. Nearly 90% and more than 95% of the crashes respectively, alcohol use is not suspected on the part of the pedestrian or the driver. Over 75% involve pedestrians are older than 16 and younger than 60, and 73% of the drivers involved are older than 20 and younger than 59. Over half of the instances occur in daylight and another fifth on lighted roadways. Nearly 80% occur when the weather is clear. I’m certain everyone commenting on my neighborhood listserv this week considers themselves rational, enlightened and open-minded people, but cognitive scientists know we are lousy at challenging our own beliefs. But he cites studies on reflection and reasoning in moral judgment by researchers at Harvard and Stanford that show that when we are “forced to reflect for two minutes on a different point of view[,that] can make us substantially more tolerant” of opposing views. In an excellent post on her blog Otium entitled “Do Rational People Exist”, a Yale PhD. candidate gives an excellent overview of research finding related to our cognitive biases. She concludes from the findings that rational people do exist, and while in a minority, it isn’t a “tiny minority.” For one, I’m relieved when those who in this minority are speak up, even if it makes some of use uncomfortable. And lurking news media may also just pick up some valuable grist that will help us put what collectively threatens us in far better context rather than the “rush to judgment” the feeding frenzy of news stories fueled in Durham during the Lacrosse case or now in Ferguson, Missouri. But I fear the reaction may just be “lookie-there” or anecdotal disbelief as it was this week when forensics and numerous grand jury eye-witnesses in Missouri rounded out some premature speculation. One thing I know from experience is that news media, while unrepentant nor introspective about its role, collectively just points the finger in another direction. But news outlets are a reflection of the masses and only we the consumers can generate perspective. I hate playing cards, in part because of the childhood essential tremor manifest in my hands. Even if that wasn’t the case, I’d be lousy at it. My facial expressions instantly give away what I’m thinking. Recently I overheard a friend explain that when the surrounding county rolled expanded pilot curbside recycling out to nearly all of the 11,000 households outside of the City of Durham, not enough was budgeted for roll-out carts. So a stop-gap was to identify which households didn’t immediately use theirs and then scoop them back up for redistribution elsewhere. Not exactly results-based accountability but it reminded me that the history of Durham’s acclaimed city-wide curbside recycling dates back to a social entrepreneur in 1982. Just as I retired he was recognized with several others for social innovation during Durham’s Annual Tribute Luncheon, but unfortunately not for that one. Dave Kirkpatrick is a serial social entrepreneur who upon graduation here in 1982 from Duke University, locally founded the non-profit SunShares, an early pioneer in both recycling and solar power. With training in both physics and history analysis, he also saw business model potential in grassroots sustainability, as we would call it today. His social enterprise was one of the first handful in the nation to incubate the practice of scalable curbside pickup of recyclables, a first using subscriptions. A year before I arrived in Durham, Kirkpatrick’s quiet intensity had spurred the same City Council members who had spearheaded a billboard ban as part of a broader effort to roll back corrosive blight to set their sights on reducing other types of litter and waste. In 1988, SunShares teamed with the City to ramp up curbside pick-up of recyclable community wide. Dave looks more like an economist than a missionary, but he has made his life’s work in enterprise a testament to his faith that waste, including the blessing of natural resources, is sacrilege. In 1994, five years after I first met him, he moved on to other social enterprises including SJF Ventures, a series of funds for clean tech. Three years later and a year after Dave was nationally recognized, Durham, where he still lives, made it unlawful to place certain items in trash. I thought of Dave when a few years ago a local government coordinator let it slip that 80% of Durham’s nearly 70,000 households actively use curbside recycling. According to some studies that is more than twice the rate nationwide. Nor did there seem to be any curiosity to do so even after it was suggested a personal visit might be useful to explain how it works and the benefit to them and their neighbors as well as to gather intelligence. Just maybe they were newcomers or from areas without recycling or from countries that don’t yet value the practice? It can’t just be assumed they are all dolts. They may also fail to grasp that the 80/20 principle works both ways. It could be that the 20% who are not recycling in Durham may also be generating a far disproportionate share of the waste still going into landfills, just as this is approximately the same percentage responsible for littering roadsides and businesses. Regardless, telling themselves a story that those who don’t recycle; just don’t care, is a huge mistake. Sure, its 14,000 households but a dozen or so interviews would help shape an effectively targeted direct communications strategy. Non-profits and local governments deserve credit for scaling up recycling from those early beginnings making feasible private-sector involvement such as Sonoco, which began more than a hundred years ago as the Southern Novelty Company. It made its name creating packaging for products, but starting in the 1920s very gradually moved into the recycling of that packaging. Now it operates 40 materials recovery facilities around the country serving 125 cities and towns such as Durham. Sonoco also consults now with more than 15,000 retailers on how to lessen their waste footprint. But it was experimentation by non-profit social enterprises such as Dave’s that finally bridged the gap between recycling and what was needed to make it scalable for governments and businesses as a public-private venture. We’ve come a long way since Dave’s pioneering 1982 startup at a time when even in cities, only between 7 and 9% of Americans were recycling. But while passionate proactive public advocacy is seemingly in short supply, the job is far from finished with prolific waste stream ingredients such as plastic grocery bags and food scraps yet to be widely incorporated. Once again, passionate social entrepreneurs may be needed to provide the bridge. I live in what geologists call a “rift basin.” Along the eastern edge of Durham, North Carolina marks where the continents of North America and Africa broke apart creating a widening gap filled with the Atlantic Ocean hundreds of millions of years ago. On the other side of the jointly-owned airport, Raleigh lies down in a “falls zone” marking a bay of the vast coastal plain that forms nearly a half of North Carolina, essentially an ancient, receded tidal flood plain. Early explorers such as John Lawson would have probably recognized this “falls zone” as where rivers began to cascade down water falls created by a fault line where he passed over what is now northeastern Durham, before they slowed and widened out on their way to the ocean. So named is Falls Lake created in Durham in 1981 from three rivers flowing down from an ancient volcanic arc around northern Durham. It was impounded as a means to fuel the growth of Raleigh and Wake County, which at one end of that violent arc notoriously had trouble percolating water. There is a fascinating, easy to read book co-written in 2007 by a science writer here Durham along with a geologist down at UNC-Chapel Hill, entitled Exploring the Geology of the Carolinas. It includes a map of physiography showing that the coastal plain doesn’t underlie Raleigh from the east but pushes up into that community from Fayetteville and the Sand Hills to the south as a sort of bay. My interest is not coincidental. It is highly recommended that anyone inventorying the sense of a particular place, as I did for Durham, begin with its geologic formation where distinctiveness first takes root. I josh about Durham having once been a “beach town” but it was at least along a sound or an Intracoastal Waterway, and might be again some day. Its elevation is measured at 404 feet above sea level. But parts are much higher and where I live slightly lower. It has been worn down by erosion over time and its underlying rift filled with softer Triassic sediment makes it vulnerable to legislators prematurely pushing natural gas extraction, known as “fracking,” even before questions about the technology’s threat to water quality are resolved. This is how “representative” democracy turns despotic because Durhamites have virtually no say or way to vote their conscience against those wreaking this unique havoc on only a few very narrow slices of North Carolina. There are many reasons to visit the 84+ acre Museum of Life and Science in Durham but one is Explore the Wild, an exhibit wonderfully retro-purposed back to wetlands and habitat for wildlife from an old quarry. Dormant since 1939, the quarry dated back to the early 1900s when motor vehicles emerged making creation of roads a higher priority. As the quarry deepen nearly a hundred years ago, it exposed part of Durham’s geology unique to much of North Carolina including nearby settlements. This is just one of several quarries here now reclaimed by nature including one as a 4-acre lake with a 60’ cliff tempting to divers and another as an emergency city reservoir. At one time the mountains of western North Carolina were as high as those around Mt. Everest, meaning the width of the base would slope to what is now Durham adding “mountain town” to its sense of place resume at one time. We’re “playing with fire” ‘er…better make that floods…when it comes to mitigating our human effect on global warming dating to the mid-1700s with the dawn of the Industrial Revolution. But in the history of the earth where I live, sea levels at one time spiked 20 feet higher than today and scientists have evidence there was a time it spiked 800 feet higher here, making Winston-Salem a beach town and all of the state’s other major cities mere novelties for deep sea divers. 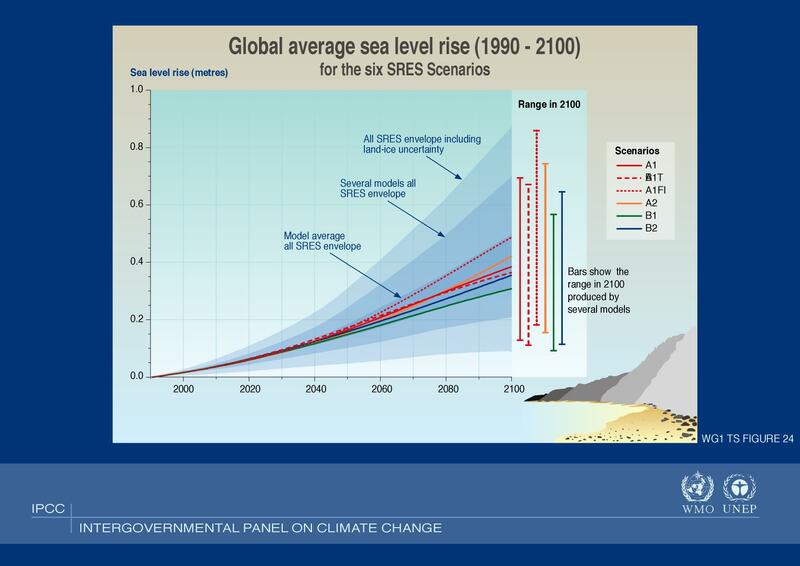 Globally, sea levels have risen eight inches since 1880 according to analysis of records in a new scientific report entitled Encroaching Tides. People who live along the coast see this in the increased days of tidal flooding, which in some communities has quadrupled in frequency over just the past forty years. Or maybe they are like the frog that fails to detect when water is slowly brought to boiling. It isn’t just the nuisance that flood events represent now. Tidal events rise exponentially to overall sea levels and already they are disrupting commerce and related tax revenues, often stretching through entire neighborhoods. But the report calibrates that these regular flood events are also due to reach far farther into communities all along the Atlantic coast. If confused by claims of projections being partisan, just ask those in the business of insuring risk. The report breaks down what the increase means to specific coastal communities by comparing tidal flooding today with what it will become in 15 year increments out to 2045. Here in North Carolina, the report looks at the communities of Duck, Wrightsville Beach and Wilmington, the state’s eighth largest city and a port. Duck along the very northeast corner of our coastline will increase from 8 annual flooding events currently to 32 by 2030 and to 126 by 2045. Farther south, tony Wrightsville Beach will increase from 8 currently to 29 by 2030 and 90 by 2045. Flood events in Wilmington will increase from 44 a year now to 133 by 2030 and 343 by 2045, with each one penetrating farther and farther inland, which means such communities need to take the actions recommended in the report seriously. 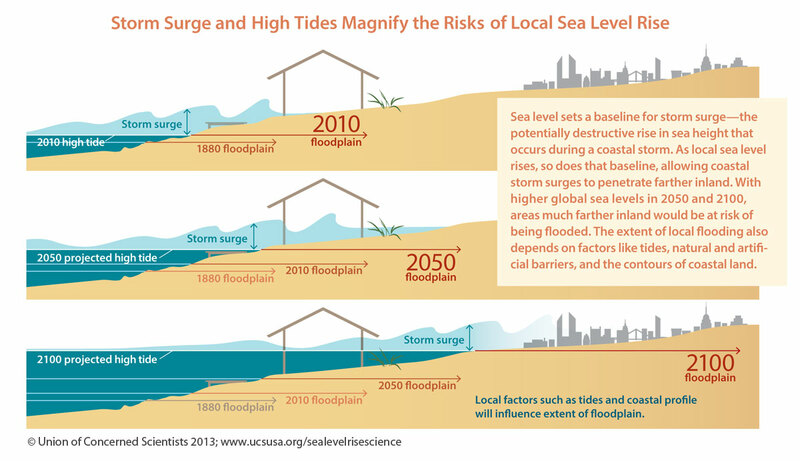 Scenarios beyond 2045 predict that these flood events will continue to increase. If I am lucky enough to live as long as my mother has, I will see portions of coastal communities abandoned and not just in New Jersey where the coastal plain is 1/10th as wide. For coastal towns, my jest about Durham being able to one day add “beach town” back to its sense of place resume is no laughing matter, nor is developer-driven stalling in the legislature. But all the same, I think I’ll continue to put off any inkling to ever rent or buy a beach house and stick with my preference for mountain lake cabins. People never accused me of being disengaged or uninspired during my four decade career in community marketing. Mystifying until I began studying Gallup’s longitude studies of workplace engagement was that 70% of those with whom I had contact or tried to enlist for support were disengaged, 20% even working at odds. Usually folks like that attack you for style but no matter how much I modulated my style or grew in my job, they remained at best a drag on community performance. This breakdown of engagement is also roughly true of public servants and elected officials but no more or less so than among those working in large private sector organizations. Researchers think 70% of workforce engagement can be influenced by management although it is a lot easier to hire engaged employees in the first place. But it is a lot harder to influence the “unengaged” in corporate and public bureaucracies. This is why I have so much admiration for those who can thrive working within large entities without losing their sanity. Regardless of having a high level of personal passion and engagement, I had to work hard every day on learning how to manage people right up until I retired. But I restlessly tweaked the culture of the small organization I led to compensate for my inadequacies, often achieving workplace excellence citations. Being made a CEO in my mid-20s only meant I had a much steeper and longer learning curve as well intense pressure to continuously and never endingly improve. I simply had to try harder than most to evolve. In general, engagement is only slightly higher though among managers. 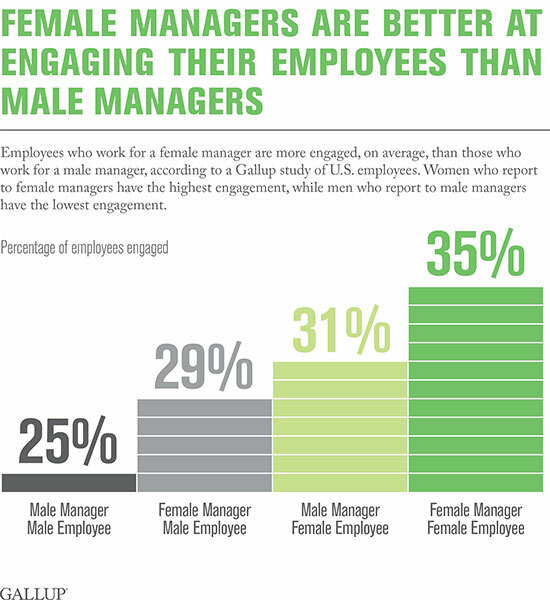 Females tend to be more engaged on average than males and engagement among both genders on average increases noticeably under female management. Studies also show that women are better at managing and less egocentric under stress and at avoiding risky strategies. Equally problematic is celebrating successes in the workplace. 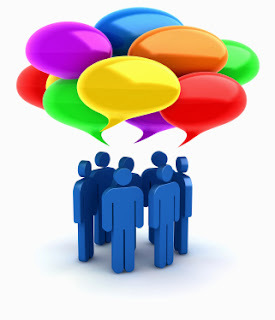 Engaged people tend to know how to celebrate their successes internally. No amount of celebration seems to make a difference with those who can’t even when spoon fed. Engagement takes shape in pre-school years when critical executive function skills are established usually as a result of parenting styles. It is probably futile and definitely unrealistic to expect teachers, police officers, co-workers and management to somehow compensate, no matter how hard they try. Society is greatly worried in this regard about young males and they should be. Only 1-in-5 of this group is engaged or inspired by anything. While more visible where poverty has taken root, this condition cuts across all socio-economic strata. People who live in less ethnically diverse areas know that engagement/disengagement is not just about socioeconomics which is hard to accept for those intent on fostering social justice. The roots of disengagement are put down long before society had any influence which is probably why all of the “reinventing” of management and safety nets over the years have not pushed the needle for engagement. This is why putting all of our eggs in teacher quality or micromanaging curriculum or obsessively “helicopter” parenting will continue to have only marginal impact on engagement overall. For a few years in the late 1990s, I worked with an educator who passed away last week. Then at Durham Public Schools, he was a genius at mining data to spot patterns useful to understand and close gaps in student performance. One thing that troubled him greatly was why the children of parents who had risen up from poverty or modest backgrounds to achieve degrees in higher education and who earned good household incomes, were trending downward in school performance notwithstanding these advantages. As far as he could tell, the phenomena had been taking place for several decades, perhaps because parents assumed those conditions were enough to perpetuate student engagement. Possibly because the condition might destabilize theories about correlations and triggers for student performance, no one seems to have unwrapped it further, at least that I’ve seen. None of us are eager to accept where the true pressure point lies, not because becoming the greatest nation on earth has made us soft, but because it has to do with something so very personal, far more personal than even cultural or religious or political affiliation. There simply are no requirements for having or raising children during the years when engagement is instilled. No age requirement, no licensure or meaningful certification courses, no track record, no scorecard, no qualifications nor any kind of rating. No amount of pressure on educators, police, courts or government can compensate for what isn’t happening during those first few years of life. Even early intervention such as the renowned Harlem Children’s Zone can only mitigate and even then where replicated such as in Durham with the East Durham Children’s Initiative, its scalability is often hampered by lack of capacity and overarching emphasis. In my adopted home, too many have attention deficit when it comes to being strategic which fosters grant-happy list checking and initiative-churn instead. Where practiced with sufficient intensity, It has proven even more important to achievement than quality schools but inaccurately assumed to be important only for those in poverty. But the problems that underlie disengagement among 70% of the workforce including managers are far more pervasive and systemic than socio-economic status. The answers may lie in deepening and embracing research explained in books such as Mindset and Unequal Childhoods: Class, Race and Family Life. Until we somehow deal with a parenting and pre-parenting as responsibilities not just rights, we’re just chasing our proverbial tails. This is a euphemism for paying out-of-town group meeting planners to select your community as the host for events such as conventions, now just 10% of overall visitation. It’s funny how in later years it is easier to trace the origins of ideas, concepts and influences of wisdom you had forgotten weren’t always your own. For me, the answer goes back to when I was “greener” than anyone at dinner that night and a chance 1975 meeting with Marty Splain, a legendary national meeting planner who was by then already in his early 60s. As World War II ended, Splain, then in his 30s had served as executive assistant to U.S. Senator Francis J. Meyers who was majority whip. He then helped Marty at a very young age rise to the chairmanship of the Pennsylvania Democratic Party. During the 1950s, Splain had also worked himself up to a stint as Grand Worthy President of the International Fraternal Order of Eagles (F.O.E) followed by a long career as the group’s membership director and national meeting planner. The F.O.E. had originally been founded in 1898 by a half dozen managers of performing arts theaters in Seattle, then spread via inclusion of troupes of touring performers before also accepting patrons and finally, I guess, anyone who could be a patron. There was one condition, to join: Members had to be Caucasian, something Splain had worked internally to change. The huge organization peaked in the early 1970s at around 900,000 members, but it wasn’t until 1979, the year after the national convention was held in Spokane, that the requirement to be “white” was finally dropped in response to a lawsuit. This group, which had pushed for the creation of Mothers Day, finally surrendered its Jim Crow past a quarter of century after the U.S Supreme Court had struck it down as unconstitutional. Spokane was a tight fit for this big convention but Marty was intrigued because that is where the second ever “aerie” or club had been created. By the time of our introduction it had grown to about 1600. On a first name basis with Presidents Roosevelt, Truman, Kennedy and Johnson, Marty had great stories and could have easily been one of those Borscht-belt comedians the Catskill resorts made famous, one of whom, Joan Rivers, just passed away. He also wasn’t afraid to dial down and answer questions from a kid from Idaho who was in over his head but eager to ask as well as soak up every answer. This included some I didn’t even know I should ask. Several pieces of advice that were graciously passed to me by this sage would help me help the three communities I served during a now-concluded four decade career in community marketing including leapfrogging those so desperate they began handing out of town groups cash to hold events there. Two years before my DMO career launched in 1973, the counterpart representing Portland, Oregon along with two major hotel chains had entered into consent decrees as a result of anti-trust litigation, which were not lifted until two years before I retired. Backed by legal counsel, Marty carefully explained to me what I could and could not do under the ruling as well as what Portland had been doing with the practice which was to raise essentially a slush fund to help lure conventions. The Eagles had been one of those groups that required upfront subsides from cities but Marty shared not only how it could be handled but that he feared that as an unintended result of the ruling, two things would begin to happen. 2) the smell of money would bring a torrent of “snake oil salesmen” out of the woodwork, making it hard to ferret out good folks who just didn’t know the way this should work. He explained to this then-naïve rookie the dangers of cash subsidies as well as how these “snake oil salesmen” would use them to line their own pockets. Marty warned me never to fall into that trap because there were far more transparent ways for a host city to fold these costs into the prices charged by private sector businesses that would ultimately benefit. Blame for what I remember asking? “Blame for letting it seem they had been outfoxed by another community. Blame for building facilities that didn’t make sense.” “Even blame from peers pandering to small groups of constituents eager to cash in,” he patiently responded. He taught me how to build any assessment required into hotel rates and that groups using a low ratio of hotel rooms weren’t going to be worth the trouble anyway. He also taught me how to spot that a planner might be shady because they would have already sealed in rates with kickbacks for themselves before explaining the need for fees from the host city. I think he was using the Pareto principle when he told me that in his experience only 20% of the events in which a community might be interested will make sense for that community and only 20% of those will require subsidies of some kind such as free facilities or extra municipal services such as police and solid waste removal. And that only 20% of the 20% of those 20% will be legitimate and worth the risk. I was never very good at math until taking business statistics but even to a rookie community marketing exec back then, given that 92% of these groups refrain from the subsidy model, it made obvious sense to go after those groups and leave the 8% for communities desperate enough to get involved with groups that do. Ironically, the hardest part throughout the years was explaining to local officials that a group only made sense if tax coffers would be held harmless for any subsidy required through local tax revenue that would be generated. In other words, groups need to generate more tax revenue than they are asking for in public subsidies and services. This can’t be just wishful thinking either, but using economic impact models calibrated to local variables and after netting out the costs of in-kind services such as police and solid waste pick up. Given average duration, hosting it would return about $9,000 to local governments in general sales tax revenue and another $10,836 in special sales occupancy tax revenues. This doesn’t include any taxes that are returned to the state, just those gained locally. This includes tax revenues from induced and indirect spending calibrated to Durham County but hasn’t yet netted out leakage. This return, meant to broaden the tax burden on residents and local businesses, is one of the primary reasons that fueling community visitor-centric economic development will come close to just covering the local services required. Ironically, I know state associations for local officials in both the public and private sectors that now demand far more than this amount to be considered as a host city, reinforcing that they don’t have a clue about economic development. But often in communities chasing after “worst practices,” officials will shell out subsidies far greater than any return just to avoid being blamed for a facility’s poor performance that didn’t make sense in the first place. Even those officials with good business sense often seem to leave that hat hanging outside the room when they make decisions on elected or appointed governing boards. Scary but true. We, their constituents, far too often hold them accountable only for making us happy and for far too many that means a doling out a different kind of welfare to non-residents. Marty was tight with a nickel, even someone else’s nickel. But he wasn’t one of those “screw them before they screw you” folks. He was an Oil City native in that no nonsense stretch of Allegheny between Buffalo and Youngstown. He loved sports including boxing and baseball, and even, I think, promoting a few events when he was younger. We talked about the recent Thrilla in Manila match that first day we met in my office. Marty had been a delegate to more than a decade of national party conventions leading up to the buildup in Vietnam. He didn’t seem as accepting of Muhammad Ali’s (aka Cassius Clay) stand on the war as my generation was. I continued to get reality checks from him on a few long distance calls after I transitioned to Anchorage, but then heard he had retired when I called one year to get him to emcee an annual event there. The month I was selected in 1989 to start the DMO in Durham, I learned he had passed away. Maybe I would have figured all on my own not to “step in the bucket” of worms that subsidizing groups represents. It was so easy to avoid them and still outperform cities that slid down that slippery slope that it was always puzzling to me when so many did. Almost monthly throughout my career, those “snake oil salesmen” Marty warned me about would darken my door. I would treat them with respect, hoping they just didn’t understand how we could help them while shielding taxpayers. Many would storm out and then get officials to pressure us into giving them cash. Fortunately, enabling legislation prohibited that. But that never seemed to stop counterparts in other communities who became enablers, often using state of national figures to inflate projected local impact or applying overnight expenditure levels to residents and daytrippers. Not a part of the job I should ever miss but I write this memoir to help communities that want to outperform these guys and avoid chasing after “worst practices” while protecting local taxpayers. Consider it just a payment forward for Marty. Frustrating regular readers, I have a habit of segueing while writing on one topic to another that is underlying, making it obvious that the six or more hours I spend per day on this post-retirement avocation is more about personal introspection than sharing insight. “Up through the 1970s and into the 1980s local government officials across the nation used to do a much better job of breaking dividends such as this down for residents and connecting the dots for folks like my neighbor. Then it seems they suddenly stopped connecting the dots for themselves as well as witnessed somewhere in the first decade of my now-concluded career. It is also how the insanity of “front end” subsidies, oh I mean incentives were born, another word for “legalized” panhandling. In Durham for example they began very slowly hollowing out funds for basic community upkeep which in turn soon began to degrade curb appeal, which dampened property values, which slowed tax revenue, which resulted in more hollowing until a vicious cycle took root. Of course, the intent was to restore upkeep before anyone noticed but gradually it became the new norm and then one day local governments began to whine that basic maintenance and upkeep of appearances was somehow an unfair burden. Of course, this wasn’t a strategic decision. If I hadn’t been a witness, it was easily gleaned from books such as The United States of Ambition that moves such as this take shape when politicians began to sense that “keeping people happy” by doling out these funds instead was far more rewarding and fun than upkeep. But this has contributed to creation of a feedback loop where residents are frustrated and resistant to paying taxes (in reality only a tiny but vocal minority) so officials try to appease them by holding the line. This, in turn, forced the year-to-year absorption of increases to the costs of living such as goods and services which means budgets for maintenance and upkeep get “rabbit-holed” into a downward spiral, which undermines resident confidence. It is how communities that are otherwise seemingly vibrant and “cool” on the surface, begin to slowly and imperceptibly degrade at the margins before falling again into a cycle of decay. Now instead of running local government like a business with 5% of budgets set aside for maintenance and upkeep along roadsides, streams and other commons, local officials are more likely to feel put-upon by this responsibility. Soon they resort to panhandling businesses and volunteers to get by never realizing the resentment this creates because residents and businesses then silently fume because upkeep is something they feel they already shoulder in property taxers. It has been this way in Durham for nearly three decades. Even the increasingly depleted news media seems to have bought into this feedback loop rather than shining a light on its absurdity. But this paradigm is not one in which Durham is unique. It seems so thoroughly embedded in the psyche of futility common among nearly all public administration professionals now that they probably never knew it was any other way. Sadly, so many of those elected to shift the paradigm seem converted instead within a few weeks of being sworn in. It may be left to Millennials and social entrepreneurs like the young developer of Wetrock to reconnect the dots and return us to true sanity.